I rarely eat donuts at home and it is not a treat I crave. However, visiting American cities big and small give me a chance to experience some of the best examples of this affordable dessert. A donut only has a fleeting lifespan of a couple of hours. When it comes fresh out of the fryer, the light and airy yeasty pastry can be the most ethereal bite. 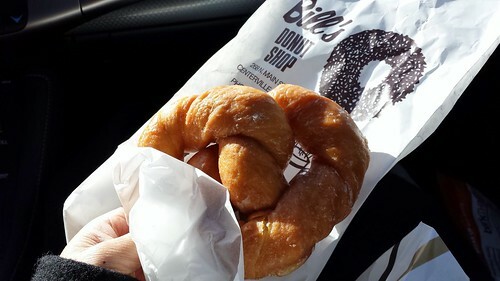 I had the pleasure of sampling the glazed Pretzel Donut and Apple Spice Cake Donut from Bill’s Donut Shop in Centerville, Ohio. It was literally a last second stop. My friend CC was showing me some of her favourite places in her hometown and she pointed out Bill’s just as the traffic light turned green. I yelled “OMG we have to stop here for breakfast!”. A sharp turn later and I was thanking CC for some of the best donuts I ate in a very long time. The pretzel shape may be unconventional but the extra twists and turns just maximize on glaze coverage. Smart move! A few days later I pulled in to The Crescent City for the first time in my life. Back in the day, Anne Rice’s Vampire Chronicle painted a romantic image of New Orleans in my young mind and I swore to visit some day. Hurricane Katrina destroyed much of the city and I put off my visit year after year. 2015 marks the 10th year anniversary and the city is once again thriving. 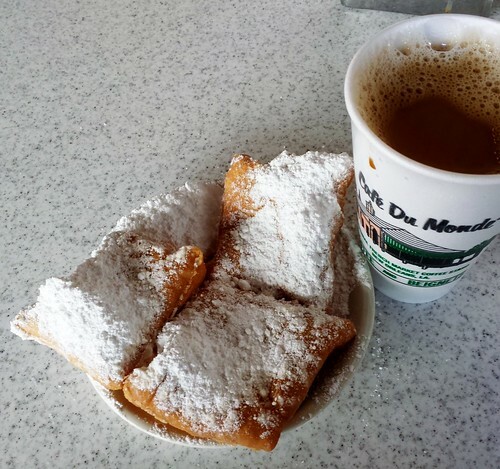 The first thing I did was a visit to Cafe Du Monde as any tourist wont to do. Sure I am not original by any means but how could I resist the temptation of this French Quarter institution? Even though it was a Thursday morning, the outdoor cafe was packed with tourists and locals alike. Lucky for me, there was no line up and I found myself a table after a bit of clueless bumbling. My chicory-laced cafe au lait and beignets arrived shortly after. I was so pumped with anticipation to finally taste this legendary treat. And it was…rather dense. Did I get a less-than-stellar batch? The beignets looked a little deflated. I scanned the tables of other diners around me and tried to compare their plates to mine. They all looked the same. None of them was puffy. The boisterous atmosphere and tasty coffee made my disappointment a little easier to swallow. But still, it was a small disappointment nonetheless. I planned for an easy day of driving from Nashville, Tennessee to New Orleans, Louisiana. 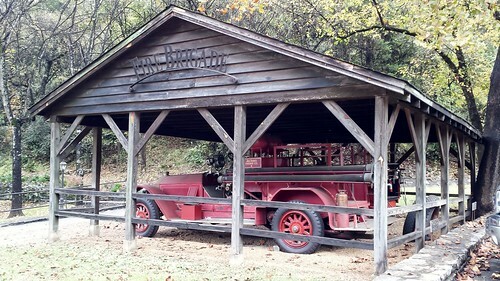 The music was good and the rolling hills of Tennessee in fall colours were stunning. 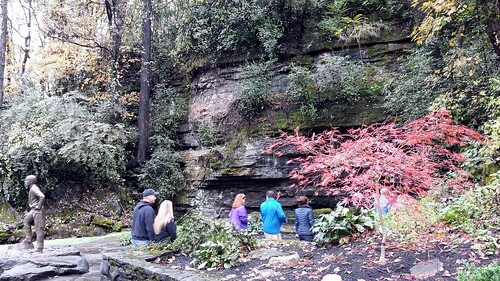 The moment I caught sight of the state attraction road sign saying Jack Daniels Distillery Historical Site next exit, I was hooked. I am not a drinker nor am I fascinated by whiskey, much less the widely popular JD. The magical words were “historical site”. So I left I65 without a clue of how to reach the distillery. I thought for sure there would be plenty of road signs to lead me there quickly. I was wrong on both counts. The detour to Lynchburg was long and the directions sparse. After driving aimlessly for an eternity, I finally pulled over into a gas station and looked up precise direction from my phone. I was still far away from the distillery but at least I knew where I was going! Thankfully, the detour was well-worth the extra mileage. 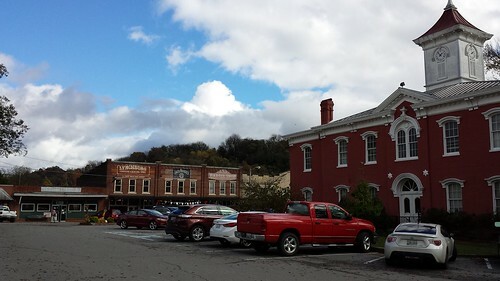 Free tours run frequently with a bus taking us to historic Lynchburg to barrel houses. 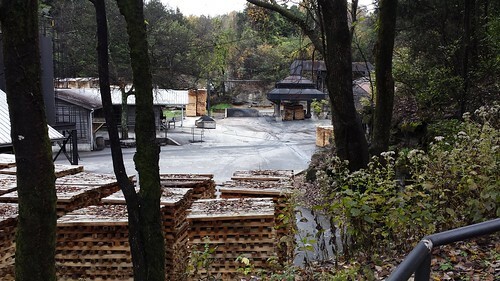 Our knowledgeable tour guide walked us through every step of whiskey making even down to how they make their own charcoal for mellowing. 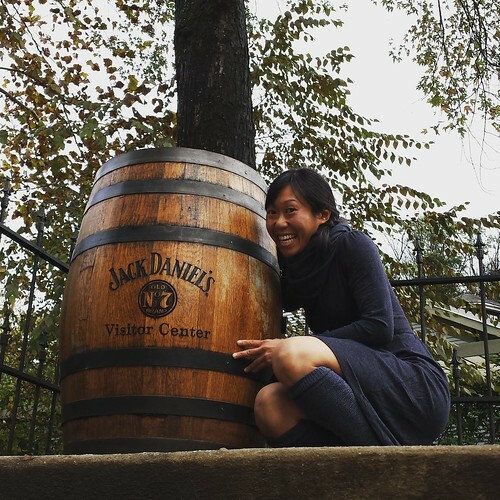 We got to breathe in the enticing aroma of ageing whiskey and the not-so-enticing smell of fermenting sour mash. 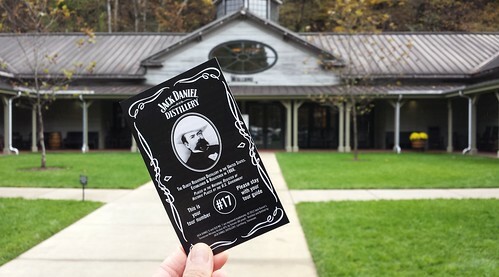 We learned about the history of Jack Daniels the master distiller and how he built his business from nothing. We saw how whiskey barrels are made and marvelled at the exclusive Single Barrel Society (a room full of names in golden plaques of those who purchased a whole barrel of whiskey). I certainly learned a few new things in the most picturesque setting. For a small fee, whiskey tasting could be added to the tour. Since I still had a long drive ahead of me, I opted for the dry option. 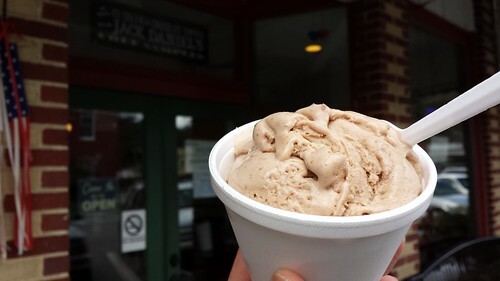 My only taste of whiskey on this trip was a boozy scoop of Jack Daniels & Raisin ice cream sold at the town’s ice cream shop. It was a sweet ending to a spontaneous detour. Next time, I will share more of my road trip adventures. Time for bed!